The new Kona has been the main reason for Hyundai's sales growth in Europe this year. 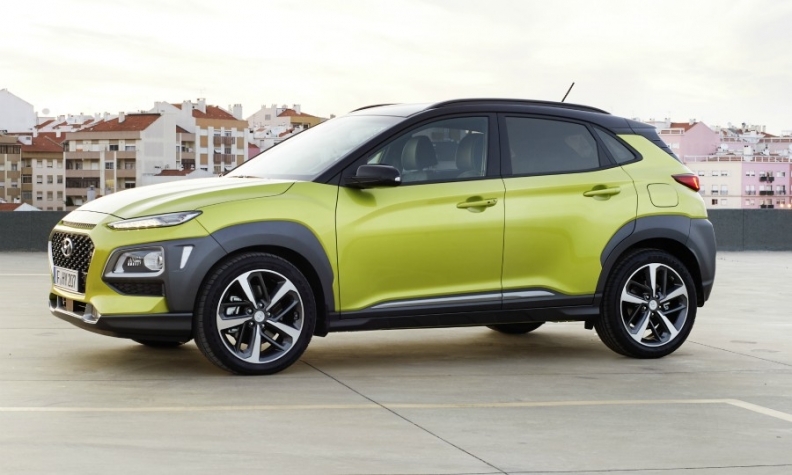 Hyundai’s electric offensive in Europe has gotten off to a good start with the success of the full-electric version of the Kona SUV. The automaker plans to launch more electrified vehicles by the end of 2020 and has not suffered from the transition to new emissions standards under the Worldwide harmonized Light vehicle Test Procedure (WLTP). But the price war underway in Europe might force the automaker to revise its ambitious targets downward. 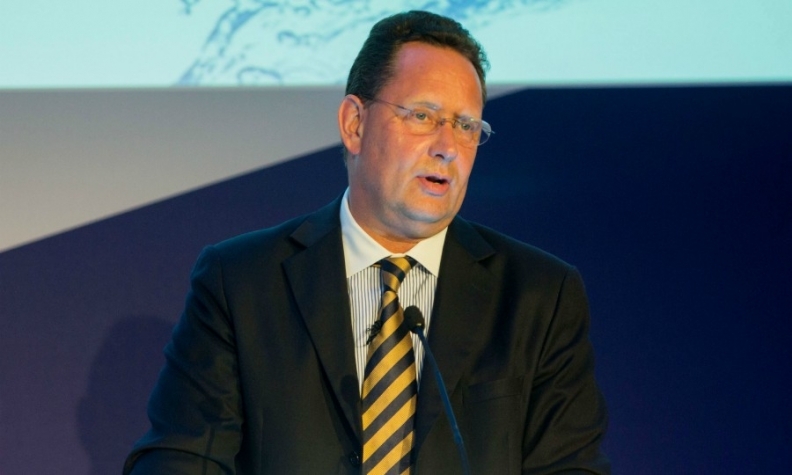 Hyundai Europe Chief Operating Officer Thomas Schmid shared his views on this blurred picture with Automotive News Europe Correspondent Andrea Malan. The EU's new CO2 emissions standards start to take effect in 2020. Will Hyundai be ready and avoid fines? Every carmaker has been challenged by the massive drop in diesel share. Prior to that, most of us were quite confident we would comply. Our countermeasure is to launch even more electrified cars to compensate [for the loss in diesel share]. According to our current calculations, we are doing well. As far as 2025 and 2030 are concerned, nobody knows. Has the diesel decline stopped? Across Europe diesels still command a more than 40 percent share, thanks to Italy. But in countries such as France, there is a political movement to move away from diesels, mostly in big cities. We try to be prepared for everything. We have good gasoline and diesel engines. Next year we will launch another two electrified vehicles [both hybrids] as well as another [electrified model] that will be completely renewed. To sum it up, we are trying to be prepared to satisfy customer demand in every market. But it’s fair to say that is very challenging and very expensive. So far, Hyundai hasn’t suffered as much as the market because we launched our new diesels. But it’s hard to compete with the emotional side of the consumer. How much will the diesel share fall? As long as the discussions on diesel continue, we will face a further decline, starting in 2019. Long term, this kind of engine will almost disappear with the exception of a small percentage — maybe 10 percent to 15 percent. Has Hyundai suffered any disruption in production or sales from the changeover to the new WLTP emission test rules, which went into effect in Europe Sept. 1? Since the beginning of the summer, all our vehicles on sale in Europe have been compliant with the Euro 6d-temp rules after WLTP tests. Therefore, we had no reason to do preregistrations in August. We were really challenged in September, however, because the market was down 20 percent to 25 percent due to the hundreds of thousands of preregistered vehicles [from other automakers] that have to be sold. Nevertheless, we achieved our targets in September. For the first time in history, our market share in Europe climbed above 4 percent [Hyundai’s European share was 4.2 percent in September, according to ACEA data]. Will Hyundai make its 2018 targets? Yes, but we won’t get caught up in the incentives push. Depending on the brand, some of our competitors’ incentives are now 50 percent higher than before. They went from 2,000 euros to 3,000 euros [in discounts] to 4,000 euros. If this gets even worse, we will have to adapt our targets, because we are not interested in unsustainable business. I assume that the continental European market will be very solid and grow slightly. Overall, however, Europe might drop and the main reason is Brexit. If there is a hard Brexit, the UK market will decline dramatically. Since it is the second-largest market in Europe, that means the overall market will be down. Thomas Schmid: "Some of our competitors' incentives are now 50% higher than before." MAIN CHALLENGE: Increasing market share without engaging in an incentives war. Will Hyundai manage to gain share? This is what we are aiming for. As we decided to have sustainable growth, we won’t be overambitious in our behavior. How is your electrification campaign going so far? We will ship 11,000 units of our Kona EV by the end of this year. Given the order level, we would need to get three times as many cars from Korea to reduce the waiting time for customers from one year to three to four months. Does Hyundai make any money on the Kona EV? Like all other carmakers, we are not making a profit on electric vehicles. The scale is just not there. Nissan is the EU leader in electric with the Leaf, and they lost money, so what should I tell you? Does that mean you don’t have an incentive to sell more full-electric vehicles? There is no financial incentive. However, brand reputation is an incentive, as is customer demand. Everybody says customers don’t want EVs, and now you say everybody wants them and you can’t make them fast enough? It’s still a very small segment. It’s 200,000 cars in Europe this year out of a 14 million vehicle market. But in some countries, EVs are incentivized, and this changes consumer behavior. We have seen it in Norway; we see it now in the Netherlands and in France, in Austria and in the Czech Republic. In the Czech Republic, they don’t have a charging infrastructure, which makes the case interesting. There is a trend, but it’s not clear whether battery-powered vehicles will be the solution. What could it be in the long run? Personally, I believe fuel cells are still the better technology. BMW is now working on it under a Toyota license. We have licensed Audi. Volkswagen together with Stanford University developed a [fuel cell] that is much cheaper to produce, although they still don’t know how to industrialize it. More and more companies are looking into this alternative. How has Hyundai’s fuel cell-powered Nexo SUV been received? This year we plan to ship 200 units, and we could sell three times more. It depends on how many vehicles we will receive, as there is also strong demand in California and in South Korea. I think in the midterm, we could go up to 1,000 units a year. But the car is very expensive – we don’t make money on it. Moreover, Europe lacks the infrastructure. You can’t travel across the continent with a fuel cell car. Why has the new Kona small SUV accounted for the majority of Hyundai Europe’s grow this year? You are right, most of our growth came from the Kona and our electrified cars. But if you look at the European market, only SUVs are growing, and sales of all other segments are falling. The D segment [midsize cars] is dramatically eroding. A and B segments [minicars and small cars] are in constant decline, between minus 2 percent and minus 5 percent. So, of course we are growing with SUVs. [Another reason the Kona stood out was because] both the Tucson and Santa Fe were renewed. The launch of the new Santa Fe is underway. Demand is higher than our initial forecast [for both SUVs ]. Overall, the market is moving toward SUVs, which is another problem when it comes to reducing CO2 because these cars are heavier. As SUVs boom, some of your competitors are wondering whether to launch an A-segment SUV. Would Hyundai consider such a move? We already have it. We are launching the Carlino in India but decided not to offer it in Europe. Here we plan to have a different model on a different platform, a true crossover. In Europe, too, consumer demand is shifting from cars to SUVs and crossovers in the smallest segments. Will this minicrossover have four-wheel-drive versions? To be fair, no one needs four-wheel drive in this segment. Suzuki has four-wheel drive on the Ignis, but four-wheel-drive demand is less than 5 percent. When will we see Hyundai’s next entirely new vehicle? At the Frankfurt auto show next year.